MariaDB Galera Cluster is a synchronous multi-master cluster for MariaDB. It is available on Linux only, and only supports the XtraDB/InnoDB storage engines. Starting with MariaDB 10.1, the wsrep API for Galera Cluster is included by default. This is available as a separate download for MariaDB 10.3 and MariaDB 5.5. Read and write to any cluster node. Automatic membership control, failed nodes drop from the cluster. Direct client connections, native MariaDB look & feel. Setting up MariaDb Galera in CentOS 7. I am using three CentOS 7 minimal install DigitalOcean VPS. Private networking enabled on these servers for security. galera-01.engy.remote will be the main node in this tutorial. Setup Mariadb Galera in CentOS 7. Install MariaDB in CentOS 7. Set SELinux in permissive mode. 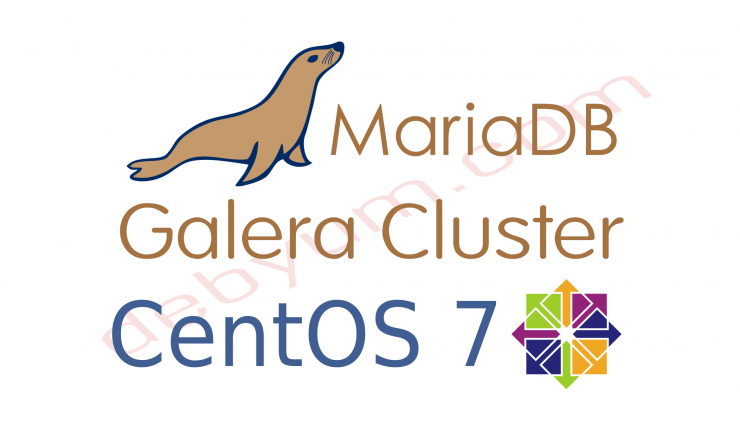 Install MariaDB Galera Cluster 10 on CentOS 7 server. We will start by installing Epel-release package and updating the system. Start the MariaDB Galera cluster on all nodes. Secure the MySQL installation on all nodes. Create users for Galera cluster on ALL NODES. Login to MariaDB console as root and create a user for Galera Cluster. Stop Mariadb galera instances on ALL NODES. 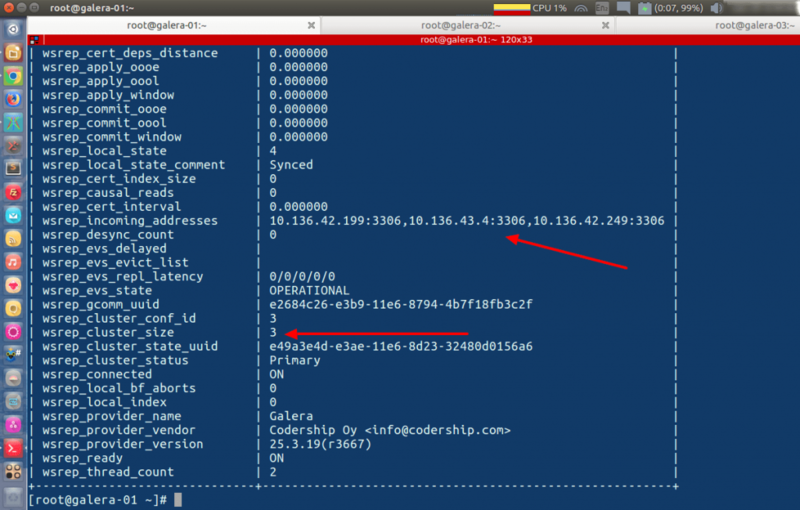 Edit server.conf file (create one if not present). All done. Now, let’s start the MariaDB Galera cluster by starting MariaDB service on each node. Start with main node Galera-01. (choose any node as main node and run this command /etc/init.d/mysql start –wserp-new-cluster). ON main node (galera-01), start the MySQL service. Starting MySQL.170126 10:04:54 mysqld_safe Logging to '/var/lib/mysql/galera-01.engy.remote.err'. Check the Galera cluster size. [[email protected] ~]# mysql -uroot -p -e "show status like 'wsrep%'"
On Galera-02 start the mysql service. Starting MySQL.170126 10:06:16 mysqld_safe Logging to '/var/lib/mysql/galera-02.engy.remote.err'. .SST in progress, setting sleep higher. SUCCESS! [[email protected] ~]# mysql -uroot -p -e "show status like 'wsrep%'"
Starting MySQL.170126 10:06:16 mysqld_safe Logging to '/var/lib/mysql/galera-03.engy.remote.err'. All three nodes are in now. Finally, check the Cluster size on galera-01 to confirm. 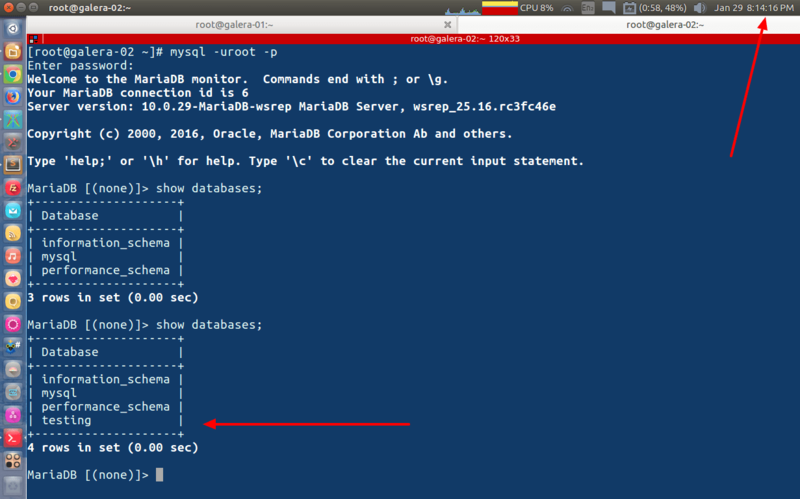 Test the working of MariaDB Galera Cluster. If you create or delete Databases or tables on anyone of the MariaDB Galera cluster nodes the same will automatically perform on the remaining nodes. More like Create/delete on one node = Create/delete on all nodes. On glaera-01 create a database named testing. Check result on galera-02 server. 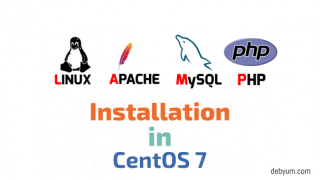 How to Install Latest PHP 7.2 and PHP-fpm in CentOS 7.